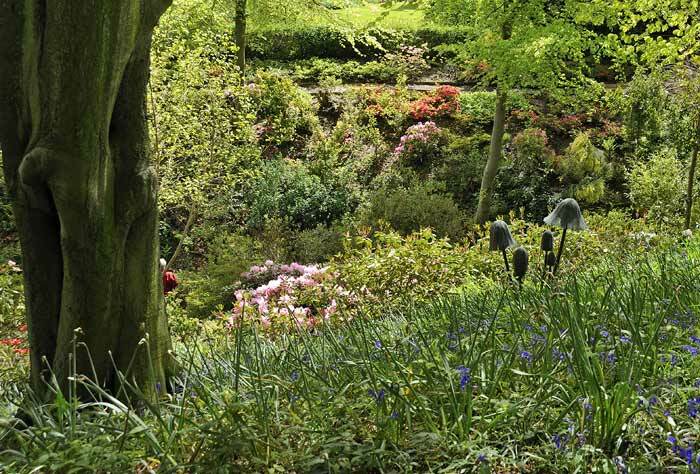 While on holiday in Yorkshire in May this year we took the opportunity to visit the Himalayan Garden at The Hutts, Grewelthorpe near Ripon. 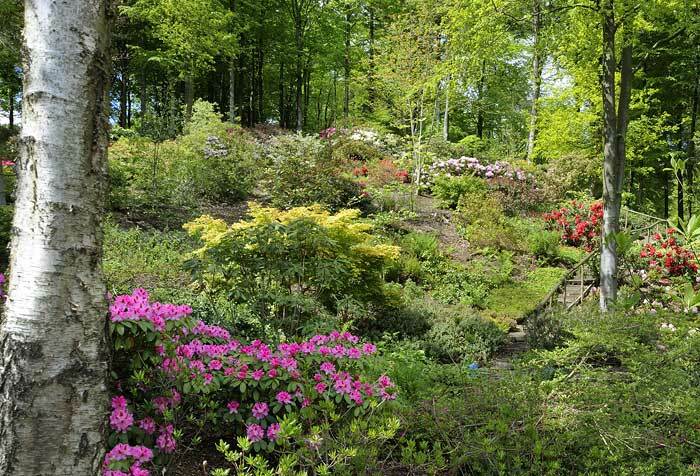 It's only open to the public between April and June each year so our normal summer trip occurs after it's closed. 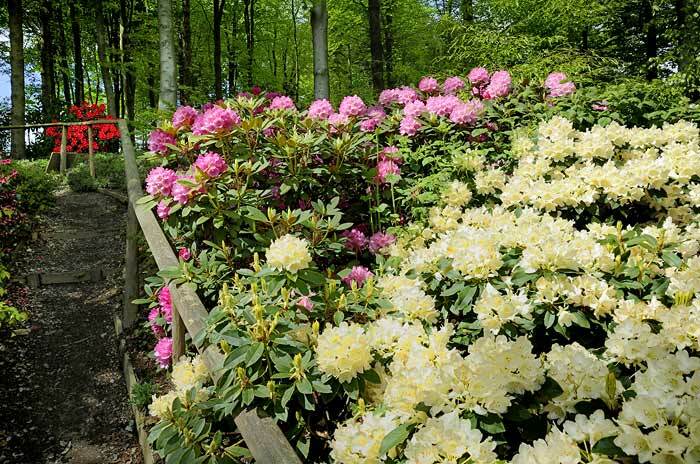 The word "Hutts" means "Head of the Valley" and there was a settlement there from Norse times. 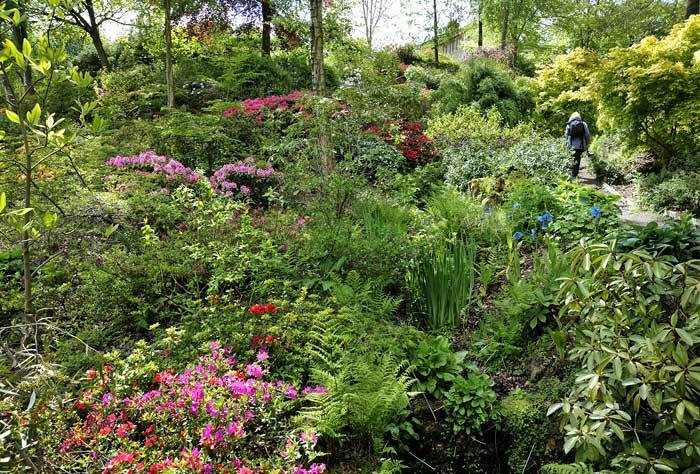 The current owners bought it in 1996 and have been responsible for all the work undertaken to turn a wild garden into something beautiful, but still untamed. 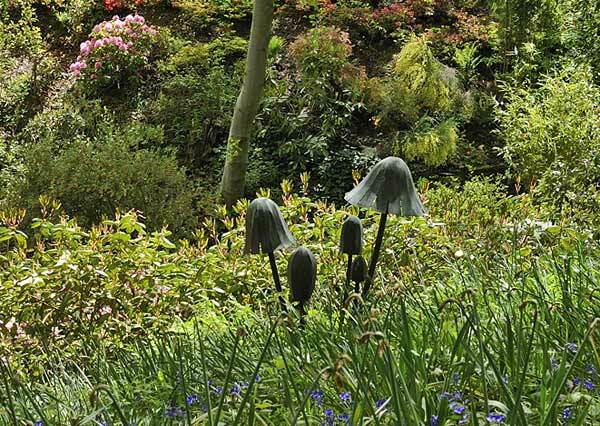 I don't profess to know anything about plants and flowers, but these "mini umbrellas" caught my eye. 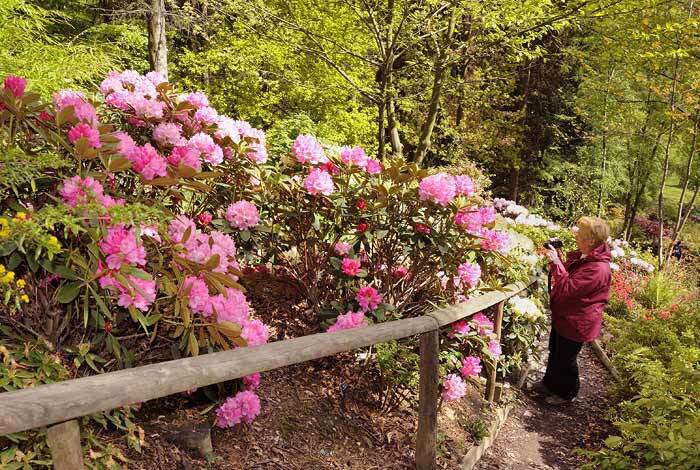 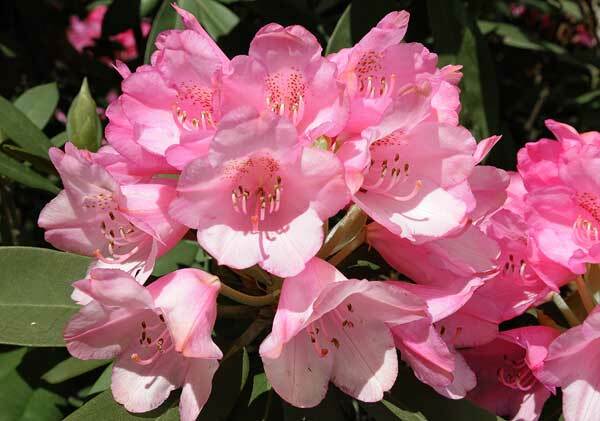 As you enter the woodland walk the colours of the rhododendrons flame in the sunlight. 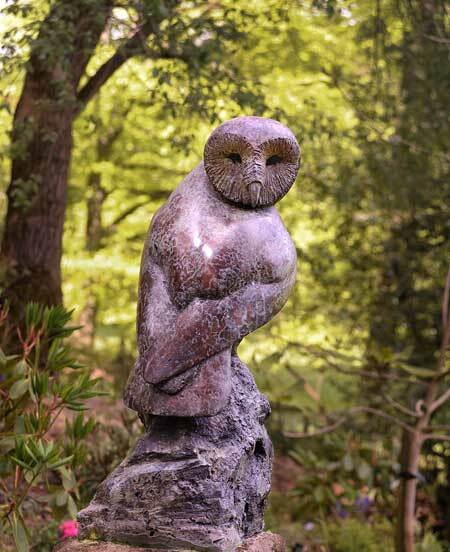 Keeping his eye on things - this bronze owl is by Hamish Mackie, British sculptor. 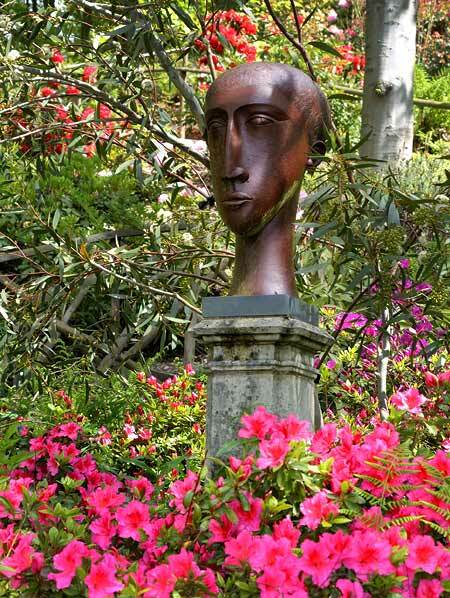 This elegant head is surrounded by colour, but unfortunately no details about its sculptor. 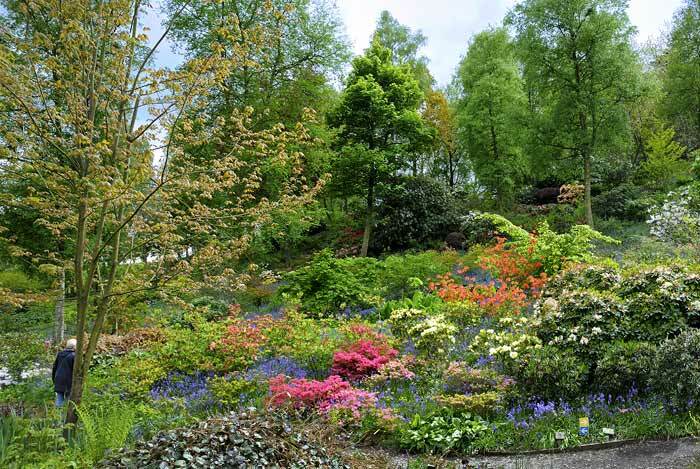 The green ferns provide restful moments for the eyes amongst so much vibrant colour. 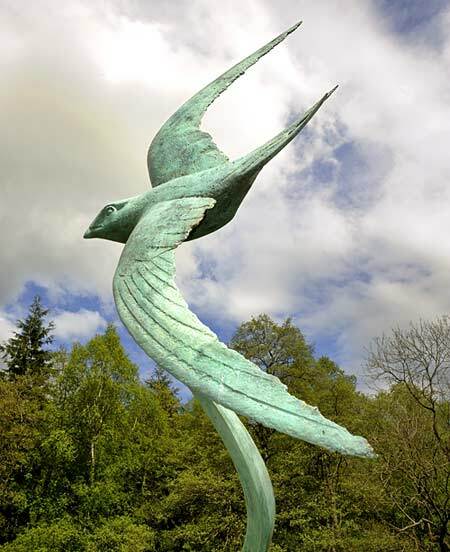 Flying Swift – another bronze by Hamish Mackie.